The folks at Widmer have gotten serious about inventing new and appealing beers. That fact is fully proven by the latest addition to their Series 924, Oatmeal Porter. That beer joins earlier 924 offerings Pitch Black IPA and Nelson Imperial IPA. Setting aside my quarrel with the Pitch Black IPA name, these are all damn good beers. In case you know nothing about Series 924, it's got nothing to do with that beat up Porsche Rob Widmer has stashed in his garage...whether it exists or not. Nope. 924 is the address of the brewery on Russell Street, the place where Kurt and Rob launched and are continuing to build their brand (along with the Kona and Redhook, at this point). Series 924 was launched in 2011 with (straight from the press release) "the intention of offering special, but accessible, high-end craft beers." I think they succeed on both counts. As noted, the Oatmeal Porter is the third in the series and will soon join Pitch Black IPA and Nelson Imperial IPA on store shelves (it's already in some stores). Let's face it. Widmer's access to the Anheuser-Busch distribution network puts them in a great position to expand their brand presence via the Series 924 program. These beers are going to be available in mainstream grocery stores like Fred Meyer, Safeway, etc. Nationwide, they're saying. In four-packs of 12 oz bottles and bombers. That's huge. The Oatmeal Porter is flat out excellent. It leans heavily on custom-toasted oats made specially for Widmer by Briess Malting of Chilton, Wis. Oats are typically used in stouts to soften harsh tannins, but they work especially well in this flavorful beer. 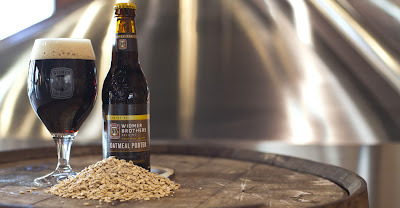 Oatmeal Porter is a well-balanced beer with a velvety smooth mouth feel, nutty flavors and a mild sweetness. Let it warm up a bit and you'll smell the Cascade hops. People may wonder why Widmer landed on a porter as the style for the Series. Why not just add an oatmeal stout to the lineup? A fair question. The answer is that the Oatmeal Porter will differentiate them from what other brewers are doing. There are plenty of oatmeal stouts out there, not so many oatmeal porters and probably none produced like this one. I give them a lot of credit for thinking this through. 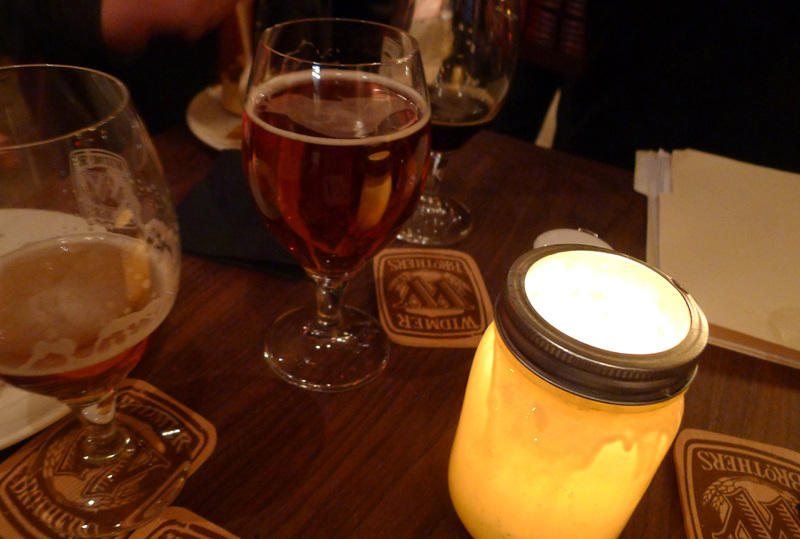 My final thought is this: Something has happened at Widmer over the course of the last year. For years, the pace of innovation there was slow. Now they've got the Rotator IPA Series, Series 924 and you can often find unique and rare beers at the Gasthaus. They've also filled out the marketing team with folks who are aggressively pushing things forward. If you happen to be on the list of beer fans who quit on Widmer in recent years because you saw it as a stale brand, it's time to give them another look. Things are looking up at 924 Russell Street. From my perspective, way up.